€1.7 billion on purchasing via mobile devices. At the same time, only in June 2012, nearly 45 millions of Americans used their smartphones for mobile shopping, however, not always buying. Underestimating the importance of mCommerce may give your competitors the advantage you do not have. So, how to make your online store sell via iPhones and Androids effectively? What are the tips and tricks of mobile commerce? And which shopping cart can offer you the best mCommerce facilities? We will provide you with an expert opinion on these issues. This is the most important consideration. You need to be able to condense everything you see on your standard desktop into a space that’s a 20th or 10th of the size. The navigation needs to be uncluttered, with the most important information at the top of the page, and the design should be clean and bright. And don’t forget the type of screen. Smartphones have touch screens, so provide a little more free space around any web links – so those with larger fingers don’t get frustrated. Where will your users be looking at your site? Most websites assume the user is at home or at work, with a full-size keyboard, surrounded by all their stuff, and with plenty of time on their hands. A mobile users’ reality is very different – you have users who need to get information fast, they have a predictive-text keyboard that hates them and they probably left the letter with the customer number you’re requesting back at home. Use social media. Add a “like” option next to every product. The social networks help users share their favorite products with their friends for an instant viral effect that can be extremely powerful. Imagery is very important in mobile commerce. Make sure that images are clear and crisp, and add a “share” option, with a click through to the product page for an instant purchase. Ensure that when using mobile landing pages on a mobile ad click-through (or email, text, QR) that there is a very clear action happening on the page. Mobile landing pages are such a great way to get in front of customers by a one-click action that allows commerce instantly. Additionally, take advantage of mobile marketing. This brings us to landing pages again. Be sure to have a great landing page/micro site linking all marketing efforts the brand produces to the brand’s digital assets with a strong mobile call-to-action. Finally, you will need a proper tool to set up a mobile version of your store and implement all the tips. We would suggest you to consider three different shopping carts that can offer you mCommerce facilities. CS-Cart - a licensed open source solution. That means, you will have to pay one-time fee to use it. Offers rich set of eCommerce features. One of them is an opportunity to sell via iPhones, iPads and Androids. It is possible due to use of CS-Cart’s special mobile kit - Twigmo. It enables both website administration and purchasing via mobile devices. You can keep running with existing CS-Cart shop just enhance it with mCommerce functionality. Additionally, you will be able to manage several CS-Cart webshops from one admin area. Twimgo can be used for free if you have less than 1 000 of products. Otherwise you will have to spend some money on your store maintenance every month. Shopify - a hosted shopping cart which requires monthly payments for using it. However, it remains one of the most reasonably priced platforms with numerous plans that can fit any type and size of business. 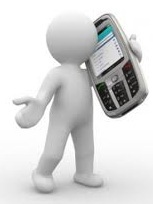 You won’t have to pay any additional fees for using mobile commerce. Shopify uses HTML 5 for its mCommerce facilities so your shop will be compatible with iPhones, Androids, Blackberry and other smartphones. Shopify Mobile provides you with the same features and data security as your eCommerce store. Moreover you can manage a mobile webshop design by uploading different themes. Shopify Mobile can also send notifications to your clients, so they will be aware about new products. MobiCart shopping cart specializes on turning ordinary eCommerce shops to mCommerce. MobiCart helps you to convert a store into a mobile app which is supported by all major devices like iPhone, iPad, Android, etc. So you can continue running an ordinary eCommerce store but at the same time have a fully optimized store for mobile devices. MobiCart is loaded with features like powerful CMS, product management system, customer reviews and ratings, etc. So, your mobile store will have all the functions you need to sell online. For more customization options you will be provided with access to source code. The platform is well priced. You can start using MobiCart for free with 10 products. To get more items on your mobile shop you will have to purchase one of plans. Now when you have all the necessary knowledge on how to set up a successful mobile store go for it and you will see the positive effect right away. However, what shall you do if your current shopping cart doesn’t support mCommerce facilities? The answer is simple - migrate your data to another platform with Cart2Cart. An automated data transfer service moves products, customers and orders to a desirable cart in a blink of an eye. To check it for yourself simply register an account and try Free Demo Migration. Stop wasting your time and get all the benefits of mCommerce with Cart2Cart.